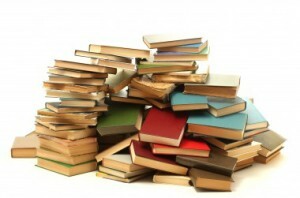 Spring cleaning 101: what do I do with all these books? Have used books to sell, and want to get top dollar for them? Just plug their ISBNs into bookscouter.com, and it will show you how much 50+ online book buyers are willing to pay for them. Too many books and you just want them gone? Keep your local library in mind, the books might not become part of their collection but many libraries generate additional funds thru annual book sales. I’ve never heard of bookscouter.com, but will definitely be checking it out. If I hoard anything, it is definitely books! I usually donate to our public library, but would be curious to see what some of my books might be worth too! I have quite a bit of books but I keep them all and never get rid of them. I do however now just buy ebooks and fill up my kindle with those instead. Ineed to look into this for sure! Thank you! I donate them to local hospitals, child care centers, and hospices. Sometimes they are often forgotten when people start donating items. Thanks for this helpful link. I do have a bag of books I do not need anymore. I prefer hard copies since I look at a screen all day. Going to definitely check this out and it always feels great to declutter! I have used similar programs like this for my used books, I have also used a book swap site, they are great! The last set of books I gave to the local library. They were extremely happy! This is great. I have not heard of them. I give my extras to the library sometimes, but they dont always take them all. I will have to look into this! I have sooo many books that I need to find a home for. My husband is an avid reader. What great ideas to get rid of all those books that are stacking up in the garage. That’s a good idea to donate the books to the library if they want them. People get excited about the book sales at the library too! This sounds like a great website to utilize! I have a ton of books in storage that I don’t need, I probably should try to sell them! Oh what a great way to get rid of the extras. I think I have a ton in storage. I had no idea you could look up book buyers online. I always have a lot of books this is a great thing to keep in mind. I used to be a book hoarder. I now only keep the ones I’ve reader more than once. If it’s not good enough to read more than once, I donate it. I could definitely get rid of a few books! Thanks for informing me of this great way to get rid of my used books! Wow, I had no clue. What an easy way to find out what your books are worth. Thanks for sharing. I need to check this out! We have so many books – there is no reason to keep them – we never will read them again. That’s awesome! I may just need to check that out!